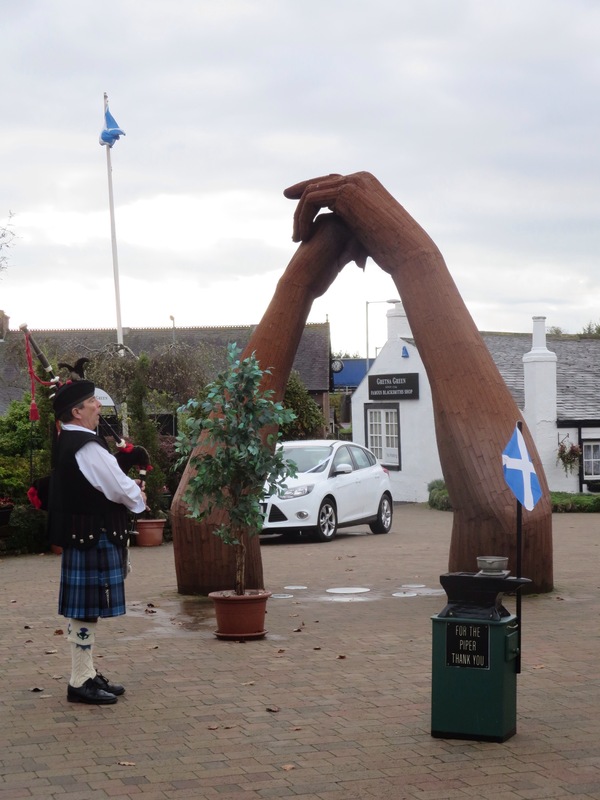 We stopped in the town of Gretna Green, just north of the border with England. This town is famous for weddings. It started back in 1754 when new requirements were enacted regarding marriage in England. Couples under 21 could not get married without parental consent in England, but in Scotland, as long as the boy was at least 14 years old and the girl at least 12 years old, they could get married with or without parental consent. As a result, young couples in love would runaway to Scotland to get married. In Scotland, anyone could conduct a marriage ceremony as long as two witnesses were present. 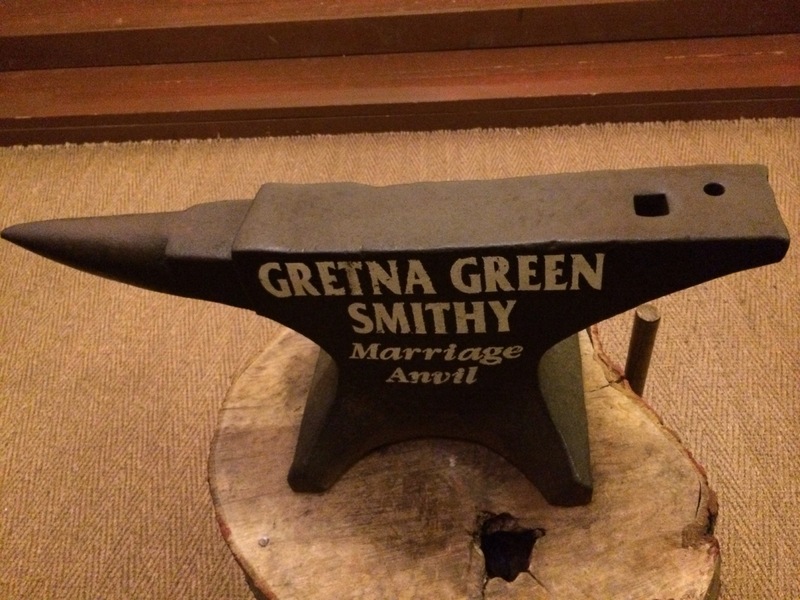 As a result, the blacksmiths in Gretna Green were popular for conducting weddings for the young couples due to their proximity to the border. It is still a popular destination for weddings today. In fact, a couple got married while we were there! A tour guide explained the history to us, then two volunteers from our group participated in a mock ceremony. 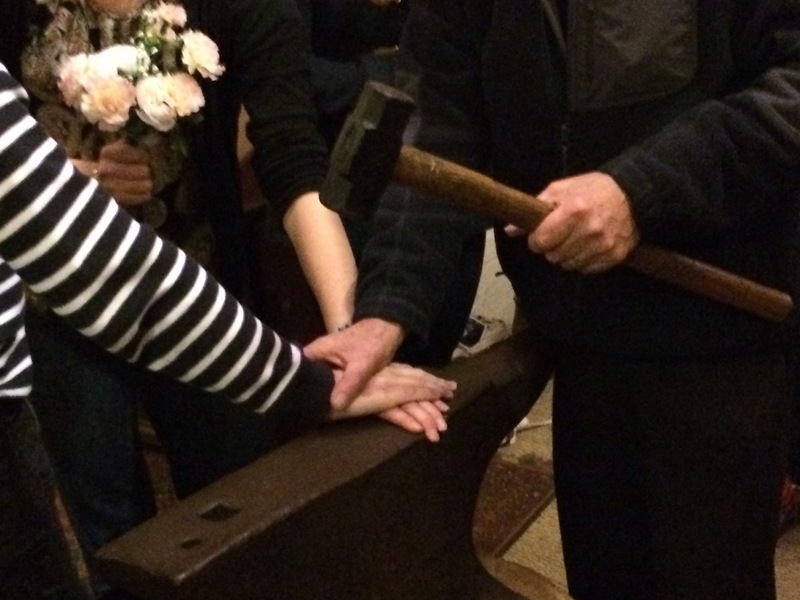 Apparently, at the end of the ceremony, the blacksmiths would hold the couples’ hands over an anvil and bang the anvil with a mallet, as if forging two pieces of metal together. « They’ll Never Take Our Freedom!